It's a common scenario. You need a good quality PTAC unit, but you have a limited budget. How can you make the most of your money? We're pleased to introduce the Hotpoint PTAC from GE Appliances. The Hotpoint PTAC is a budget PTAC packed with all the features you want and need. 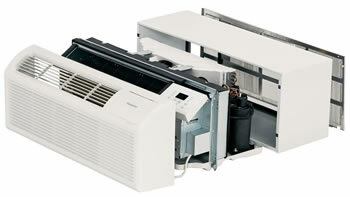 The Hotpoint PTAC is a perfect replacement for Amana, Friedrich, and other 42" PTAC units. It is also suited for new construction projects as well. Whether you need 1 or 100, we're here to help you get a great PTAC at a great price.